The British government has spent £16 million storing and maintaining its unused nuclear submarines over the past five years, figures suggest. The 19 laid-up submarines have been stored in Fife, Scotland, and Devonport, England since 1980 and 1994, respectively. Figures obtained by the BBC in a Freedom of Information request found that of the 12 submarines at Davenport, eight were still fuelled and four were sitting without fuel. In Rosyth, Fife, all seven submarines are still fueled. The cost of keeping them safe involves preventing any of the nuclear substances on board being released into the atmosphere. The MoD revealed in documents that the “cost to the taxpayer of maintaining them safely is rising significantly as they age and as more submarines leave service,” adding that full dismantling of the subs could not take place until a site was found for the nuclear reactors. Ian Avent, of Plymouth based campaign group Community Awareness Nuclear Storage and Radiation, told the BBC: “The big problem is that eight submarines on Devonport still have their fuel on board and that is potential for [a] disaster. 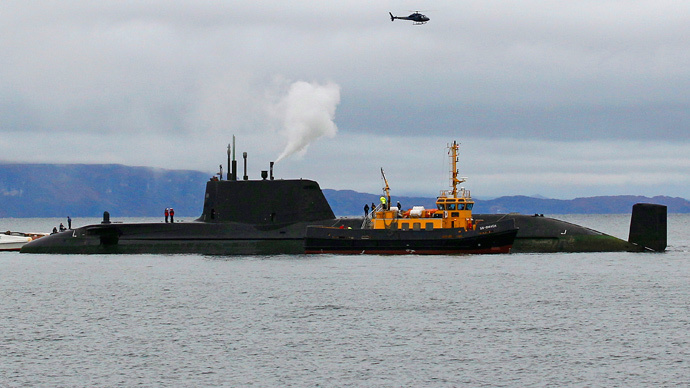 “The submarines are a huge embarrassment for the MoD. Jane Tallents, an anti-nuclear campaigner and adviser on the MoD’s submarine dismantling project, said: “The MoD dragged its feet after the first submarine was laid up but 12 years ago they decided to do something. John Large, an engineering consultant, said the “lack of decision and decisive management” was halting the decommissioning process. “It also exposes the public, and the naval base workforce, to continuing radiological risk arising from untoward accident or incident,” he said. An MoD spokesperson said: “As a responsible nuclear operator, the MoD takes its duty to manage the disposal of submarines very seriously.